Former German star Dietmar Hamann has questioned whether Chelsea made the correct decision in signing striker Gonzalo Higuain. Higuain arrives at Stamford Bridge on a loan deal until the end of the season. His signing will be a welcome relief for many fans of the club after both Alvaro Morata and Olivier Giroud struggled to find the net on a regular basis during the first half of the season. 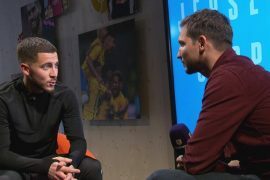 The lack of consistency of the duo even led to manager Maurizio Sarri opting to deploy Eden Hazard in a false nine role, which indicated that the boss lacked confidence in the abilities of the duo to deliver when needed. At 31 years old, Higuain is past the peak of his career. The Argentine did have his best season as a professional under the guidance of Sarri during the 2015-16 season as he went on to smash 38 goals from 42 games in all competitions. Higuain delivered decent enough performances while spending the first half of the season on loan with AC Milan and went on to score six goals from 15 appearances in the defence-orientated Serie A. He certainly has the ability to succeed for the Blues but he could also flop. He is past his peak and also has never previously played in England. Time will tell whether he will be able to adapt to life in a new league. Hamann is one who is uncertain about whether Higuain will succeed in England. He wrote in his Racing Post column: “I’m not sure. I do wonder if the Premier League is the place for a striker like Higuain, who is 31 and has only scored once since October. “I remember when Liverpool signed Fernando Morientes in 2005 – he was one of the best in the business but he struggled at Anfield. He struggled with a very different style of play and after 18 indifferent months he went to Valencia where he took off again.